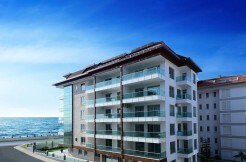 Tapu (Title Deed) | Your real estate agent in Turkey.Rent Apartment in Alanya. 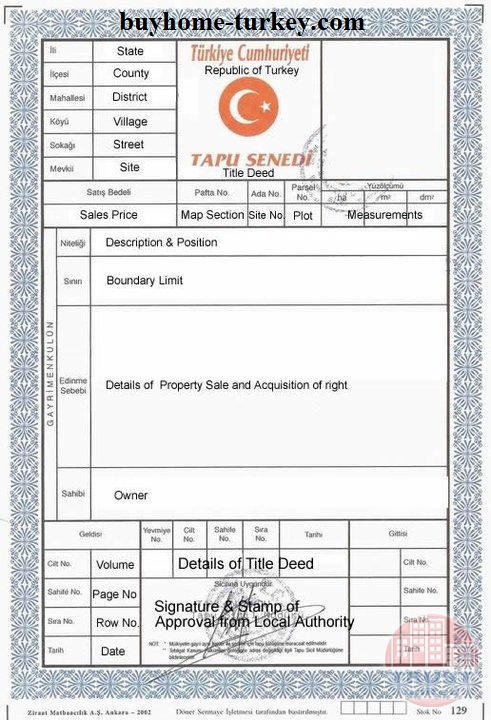 Tapu (title deed) is the only document to own property and it is prepared by Land Registry Offices at each town. 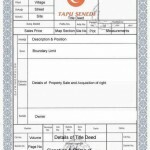 Tapu is registered at the official books and state computers. In case the tapu document is lost you can renew it at the Land Registry Offices by paying € 10. Unlike any other country when you own an apartment in Turkey you also own the part of the land according to the size of the apartment. If the owner dies in this case all the rights on property goes to legal heir. 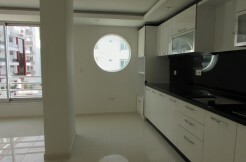 For this procedure application will be made to Land Registry Office with death certificate and certified will which is approved by notary or court.